In 2018/2019 we are planning on running two junior sides. Players will be graded and notified before the game on were they will be playing. Players must be under 15 by the 31st Aug 2018 (however exemptions can be granted in special circumstances). All of our coaches have a working with children check and a Level one accreditation a number of our junior coaches have also obtained a level 2 accreditation. The batting/bowling order for the U15 will be on merit and subject to the discretion of the Captain and Coach. However, where possible an effort will be made to give all an opportunity. Retirement scores for Under 15 in a two game are 75. Players who train hard during the week will be looked upon favorably on game day. Starting in early October on a Saturday Morning from 8.00am and Friday evenings from 5.15pm. Players will be required to play at home i.e. Saltwater Reserve / Dunnings Road/ Williams Landing, as well as playing away every second week, this will require you to travel to other grounds in the Western region. 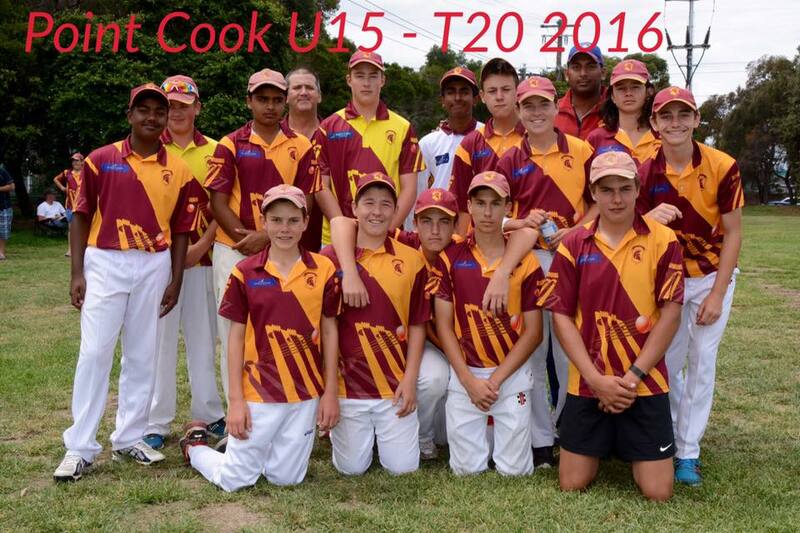 Point Cook Cricket Club is a not for profit sporting group and we rely on the support of every players family to help in the following roles, Team manager, Scoring, Umpiring, match day helper and fund raising. This year the coach will prepare a roster for each family itemising your responsibilities each week. To help spread the volunteer work load over the entire playing group we have included a "volunteer levy" of $50 per family, this levy will be returned once a few of the required volunteer tasks have been completed. Please note that a parent or guardian for each player is required to stay at the game.